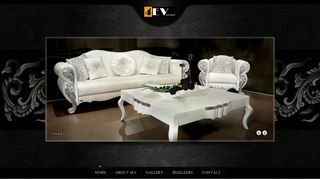 Find exquisite home furniture at 4EV, one of the leading furniture stores in Iran. 4EVs offers practical solutions for modern living, with luxurious pieces built to revamp every living room, bedroom and bathroom. Their products are carved from fine wood and polished to a shine in a choice of finishes.